A second-order filter response with Q of less than 1/2 can be decomposed into two first-order filter functions, a low-cut and a high-cut (or boost). 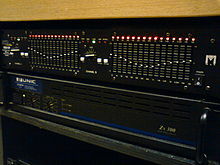 Of more interest are resonant filter functions which can boost (or cut) a narrow range of frequencies. In addition to specifying the center frequency F0 and the Q, the specification of the filter's zeros determines how much that frequency band will be boosted (or cut). 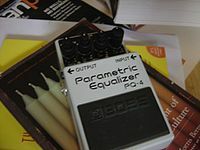 Thus a parametric equalizer section will have three controls for its center frequency F0, bandwidth or Q, and the amount of boost or cut usually expressed in dB.